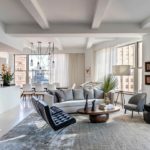 If you want to make a big statement in your home decor, go for some big art. 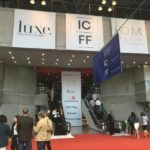 Sometimes only the biggest and most avant garde and extraordinary art ideas will do. 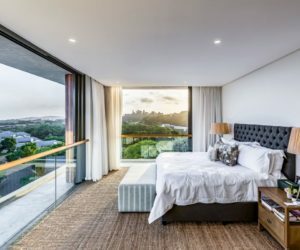 Whether it’s an unusual piece of furniture, a big installation or something you hang from the ceiling, big art will be the focal point of your living space. 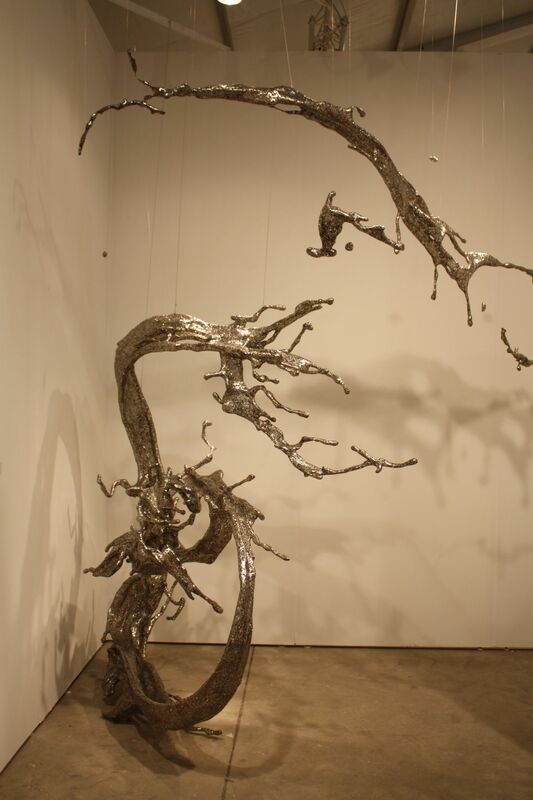 This stainless steel installation by Beijing-based artist Zheng Lu will dominate your space. Are they branches, or are they splashes of water, stopped motionless in the air? 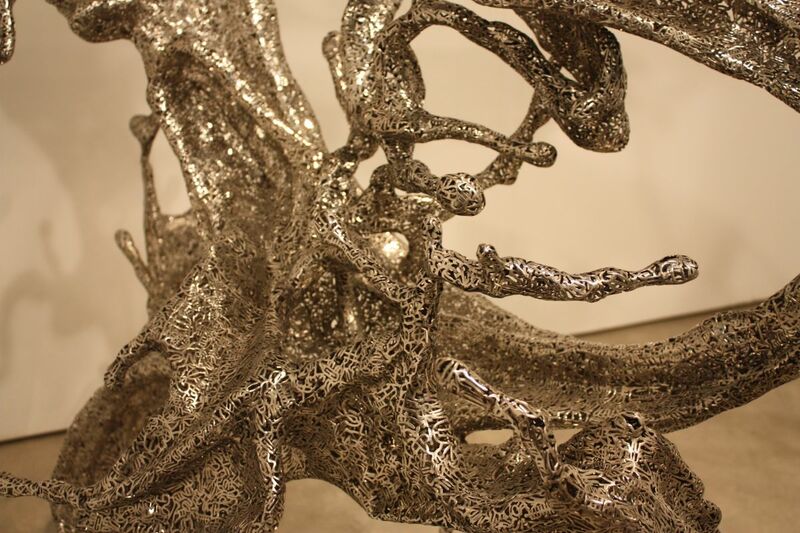 This close-up shows the intricate metal work that makes the piece even more intriguing. 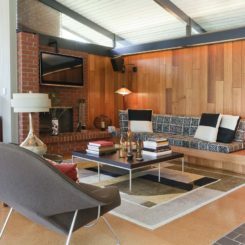 Art ideas for your home include using furniture that is actually art. 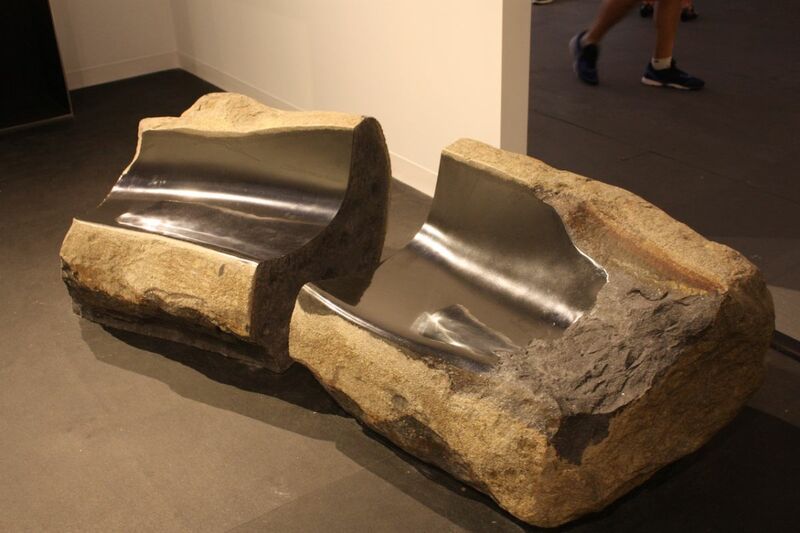 Whether you treat it as a bench or a table, this artful sculpted piece is eye-catching. 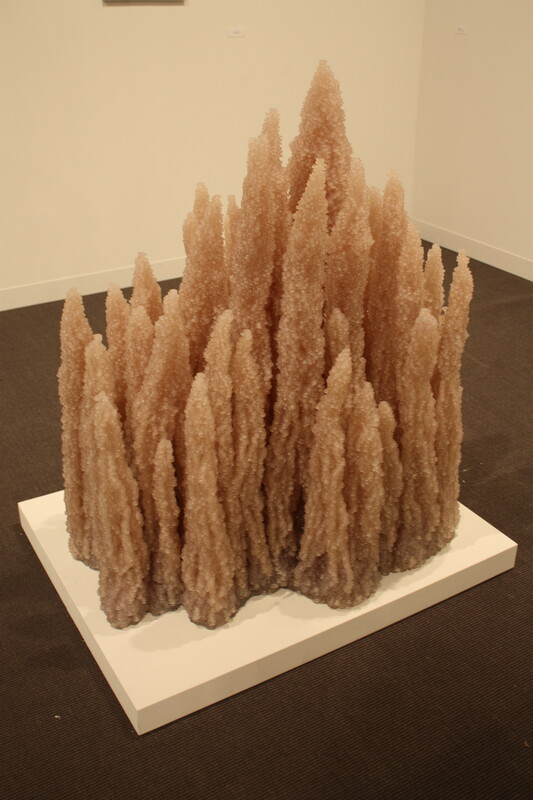 It was created by Anish Kapoor, one of the most influential sculptors of his generation. 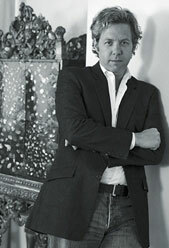 He is famous for public sculptures that are both adventures in form and feats of engineering. 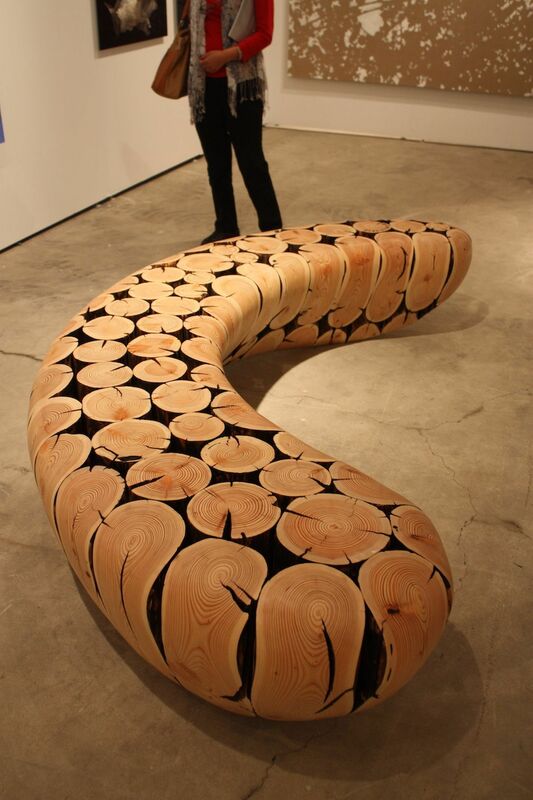 Seating made of rustic wood is nothing new but this curved bench is definitely something different. 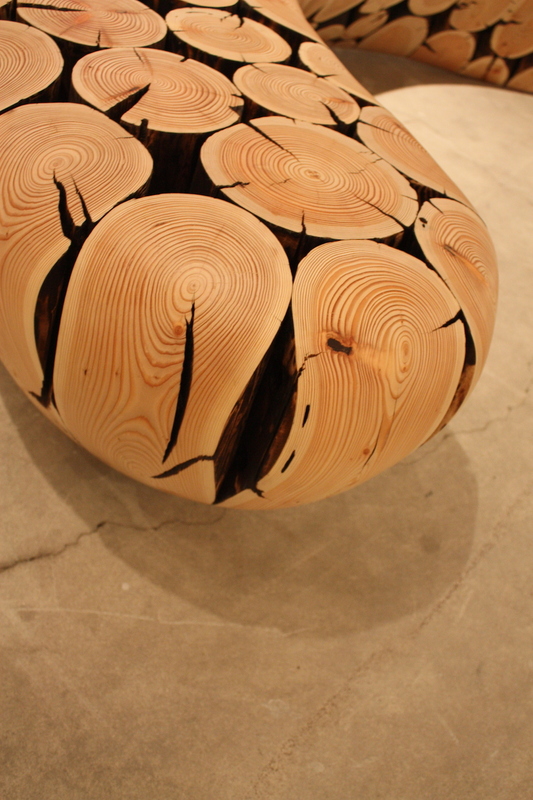 Artist JaeHyo Lee is known for using everyday materials and circular motifs, particularly for unique furniture pieces. 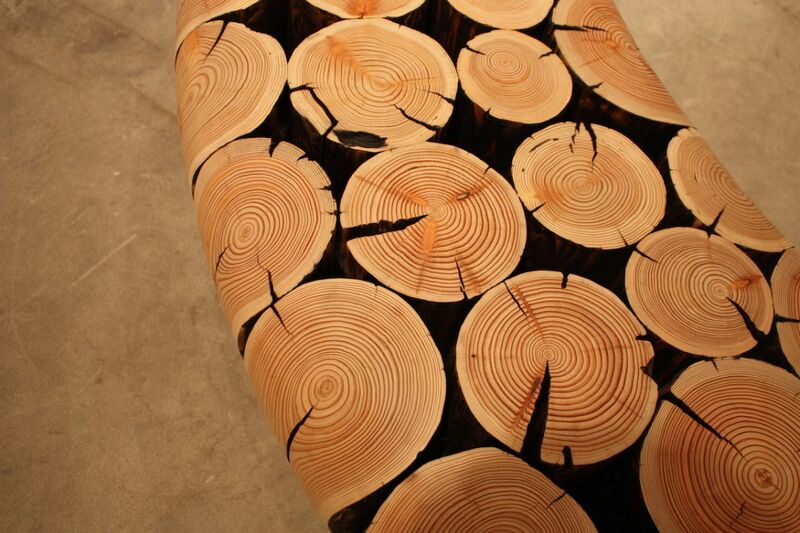 The unusual construction and use of whole trunk pieces turn what could be an everyday bench into a work of art. The curved shaping of the wood really highlights the wood grain. 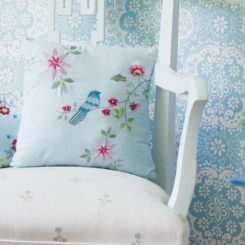 Textiles are another art ideas for your home. 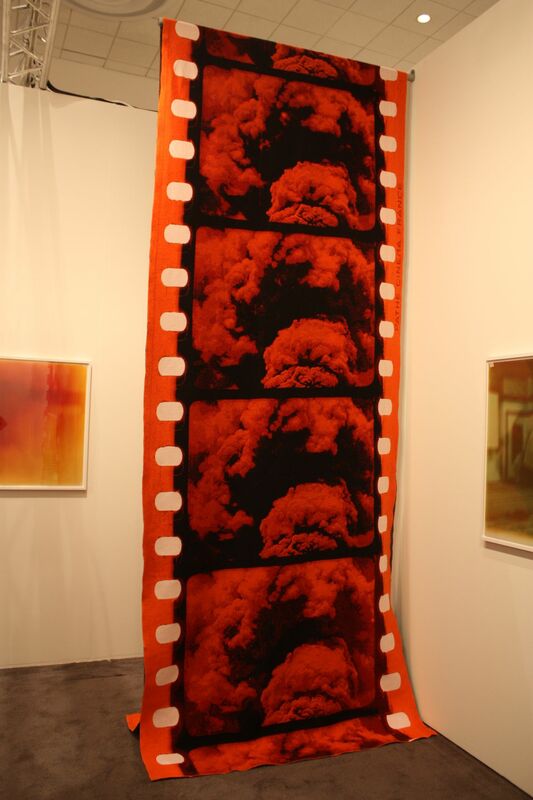 This tapestry of a film strip from Dan Gunn is an example of how you can use a different piece of art to add color and make a statement. 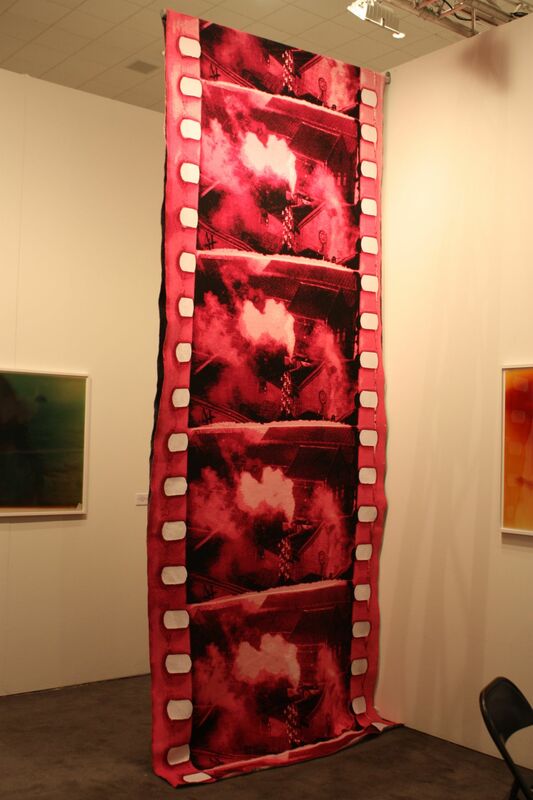 The dramatic image in the filmstrip frames adds to the intensity of the art piece overall. 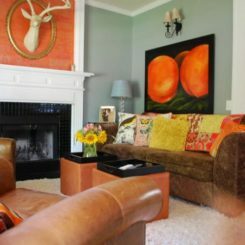 Furniture can be a popular canvas for art, making it a great art idea for your home. 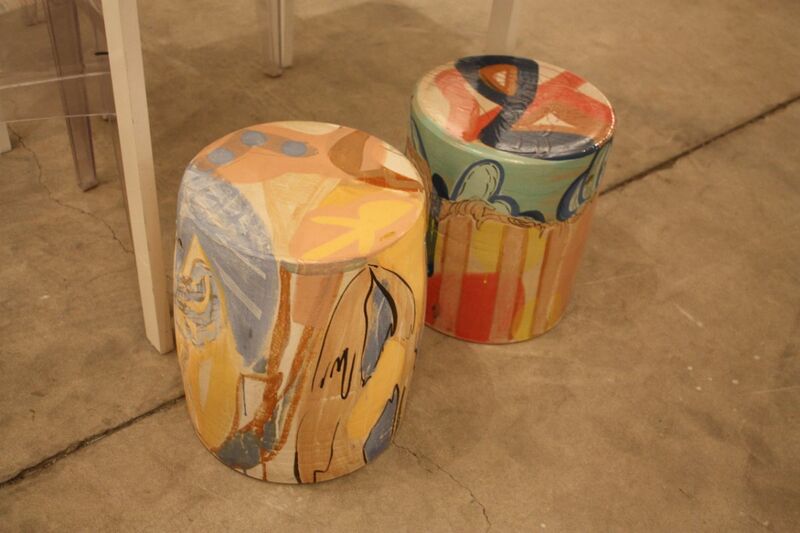 We particularly like these two stools from the Dean Project in Miami. The abstract design and pastel colors feel tropical. A far cry from the old musty moosehead on grandpa’s wall is this taxidermy head by Florida artist Enrique Gomez de Molina. 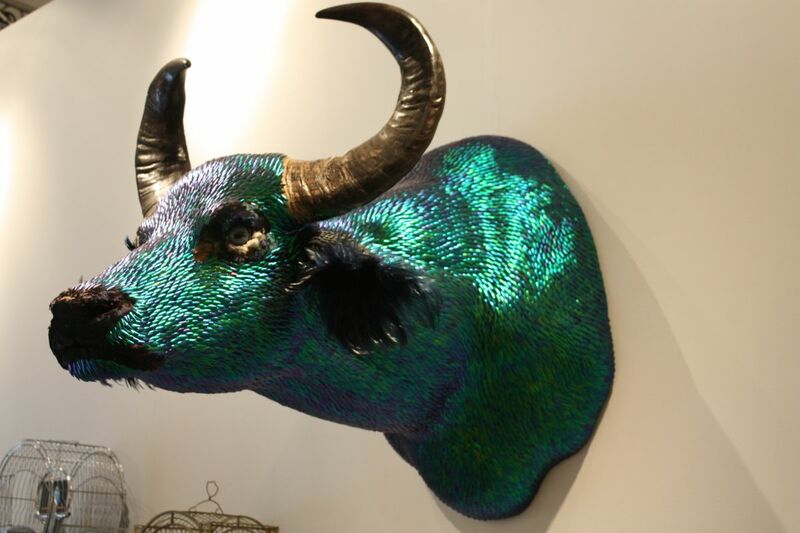 He created his pieces by by sewing together parts of exotic animals and covering them with iridescent carapaces from the jewel beetle. Of course, be careful when purchasing this type of artwork — the artist was jailed for 20 months for smuggling endangered wildlife into the United States. Who doesn’t need a gold moosehead on the wall? In any case, this art idea is safer than taxidermy as it doesn’t use any real animal parts. 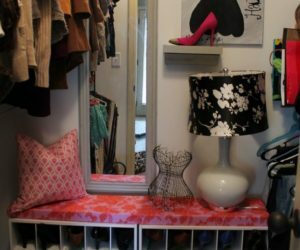 In a modern nod to the old tradition of mounted heads, this is a grand addition to any home decor style. 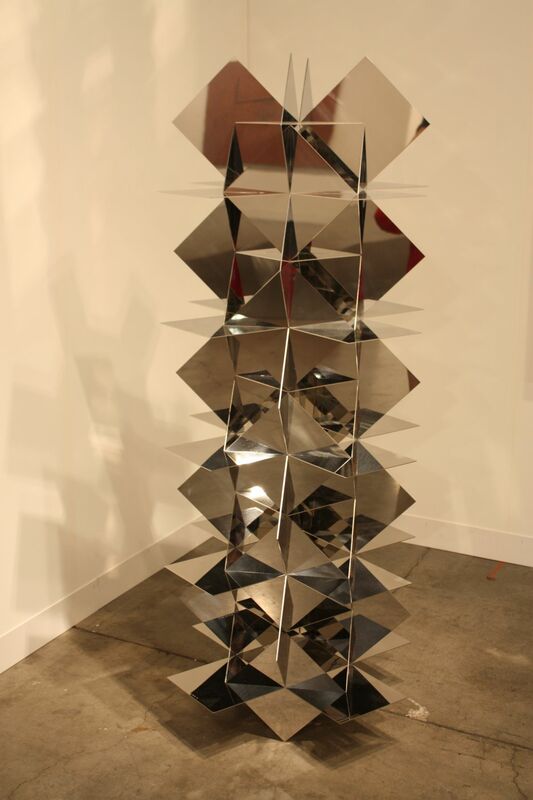 Simple in its geometry, dazzling in its artistry, this mirrored stainless steel sculpture by Spanish artist Francisco Subrino is beautiful. 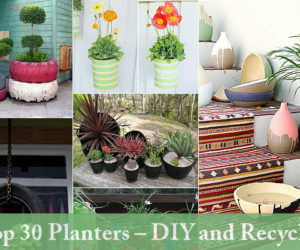 Adding it to an entry way or living room would create interest and encourage comment from your guests. It is called Structure Permutationelle, No. 621. 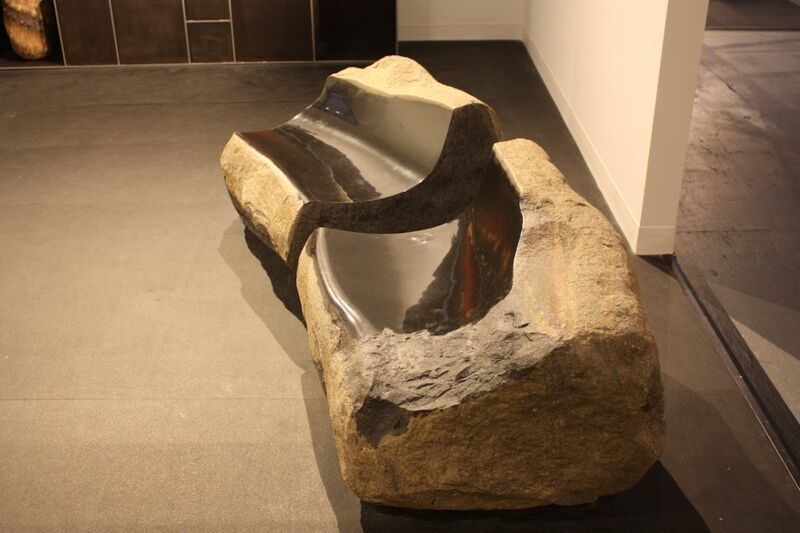 High on durability and style, this stone bench is a wonderful art idea and functional piece of furniture. The contrast between the rough, natural exterior and the smooth, polished seat area is gorgeous. The reflective properties of the interior of the bench are appealing. 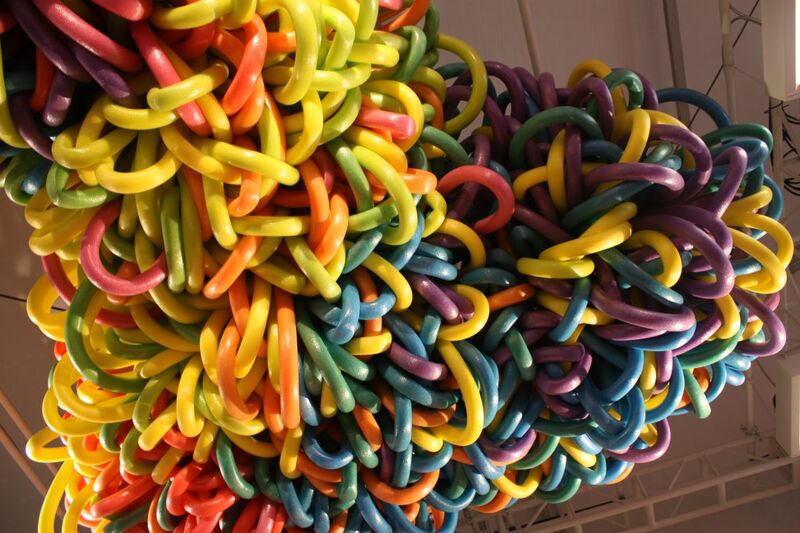 Thanks to innovations in lighting technology, you can now count light fixtures among art ideas. 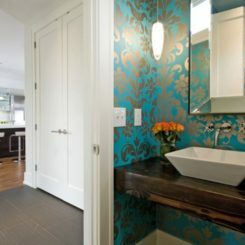 This large fixture by Front Design will be the focal point of any room in which you install it. 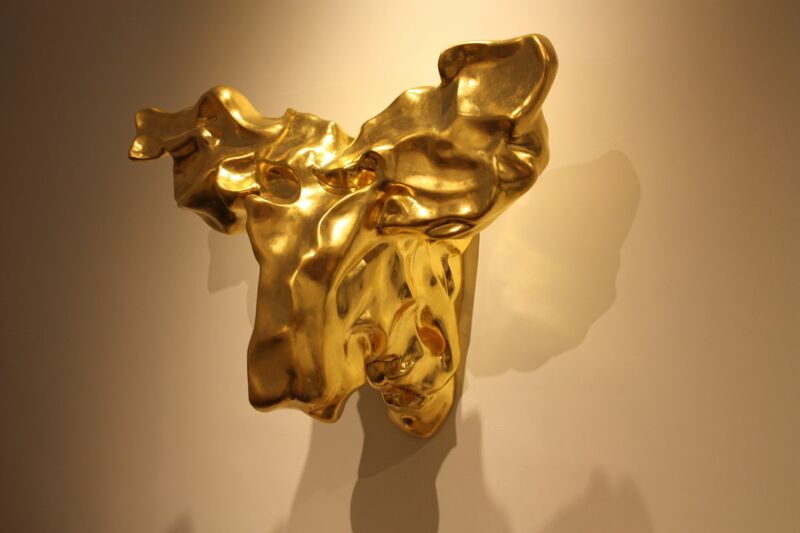 How about a modern twist on a classical sculpture for an art idea for your home? 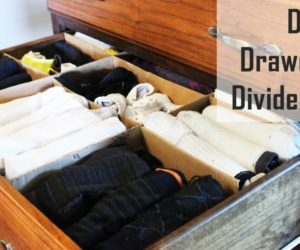 Jim Dine, painter, printmaker and sculptor, often associated with the American Pop Art and Neo-Dada movements, takes a classic form and then adds edgy color and angles to create a piece that you’d be thrilled to add to your home decor. 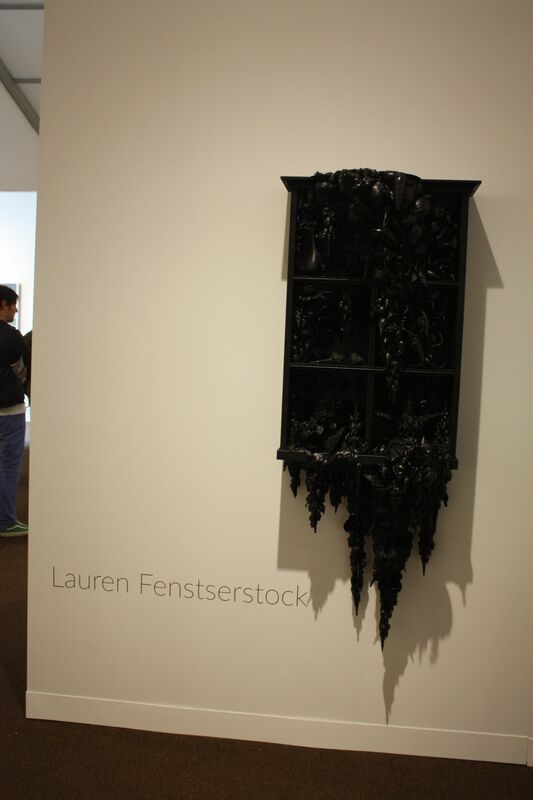 “Sculptor Lauren Fensterstock crafts dark, supernatural worlds of monochromatic nature scenes, often fashioned in all black, that contain a deep sense of tranquility and serenity,” writes BeautifulDecay.com. 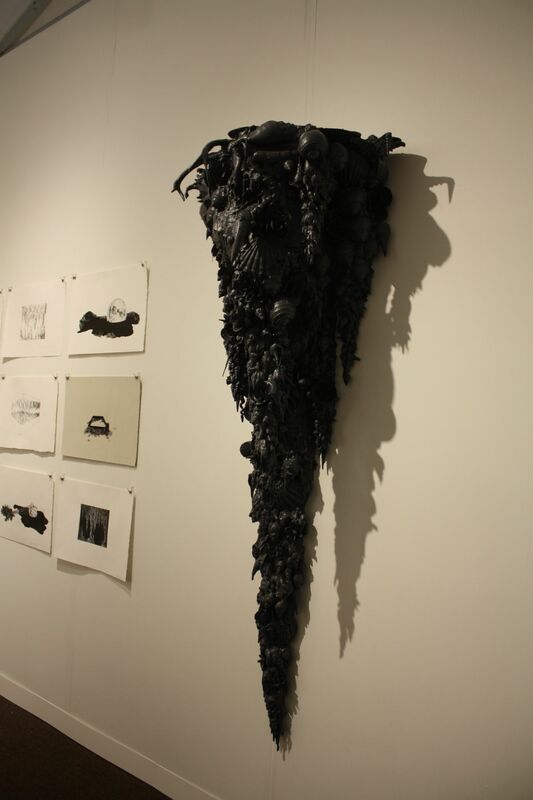 Not gloomy, but full of dark life, her works are not for people traditionally oriented when it comes to home design. 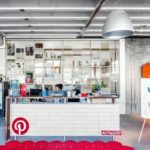 If you love modern decor and unusual art ideas, this work will appeal to you. 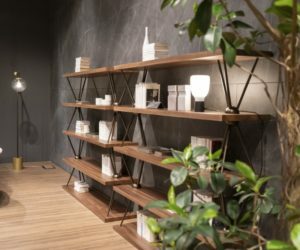 Her Small Cabinet is also made from shells, resin, rubber and wood. 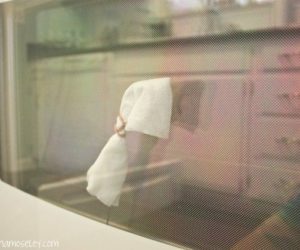 Another art idea is to display a piece that is actually a social commentary. 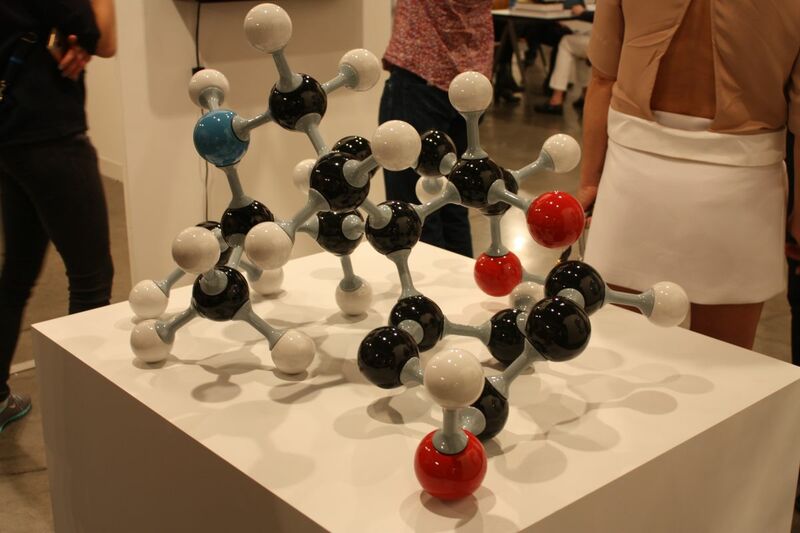 This piece is called Molecular Capitalism (C17H19NO3 Morphine). It is the launch piece of a new series of works by Mexican artist Pedro Reyes, who is examining the legal — as well as the illegal — drug trade. 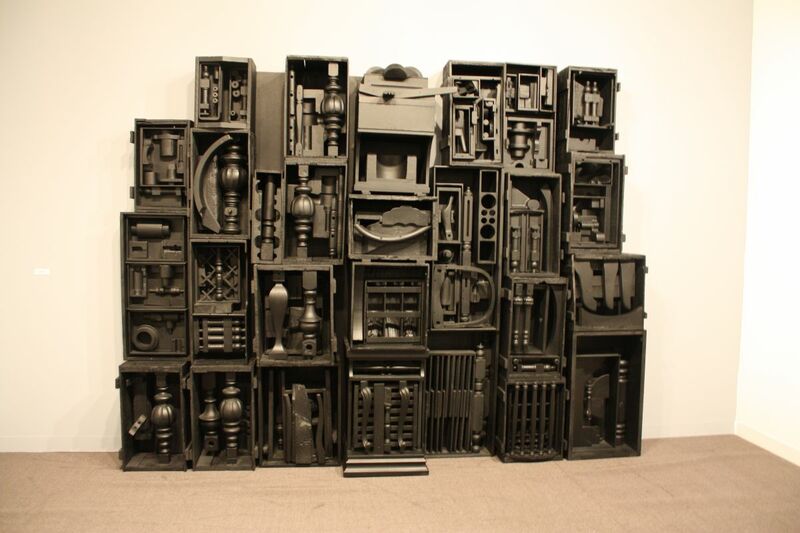 This is a typical sculpture by Louise Nevelson, a famous American sculptor. 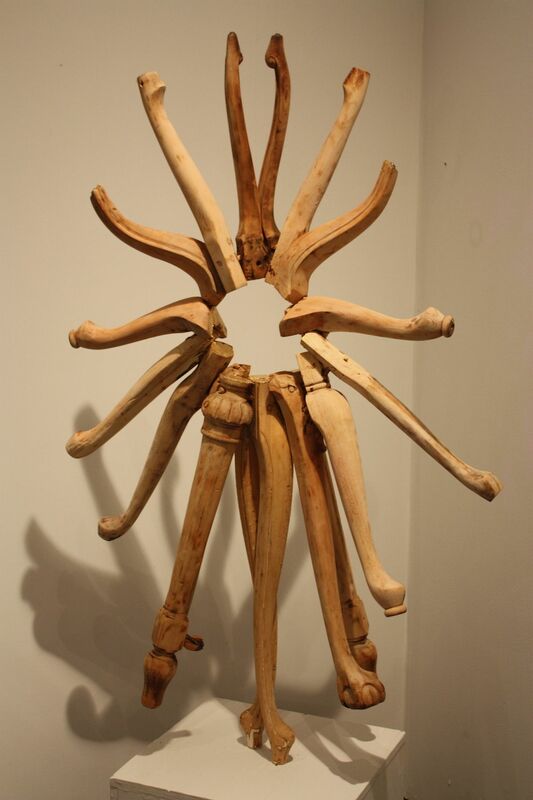 She was known for her monumental, monochromatic, wooden wall pieces and outdoor sculptures. As an art idea, this one is very striking, but space-intensive. Furniture as an art idea in and of itself is a novel one. 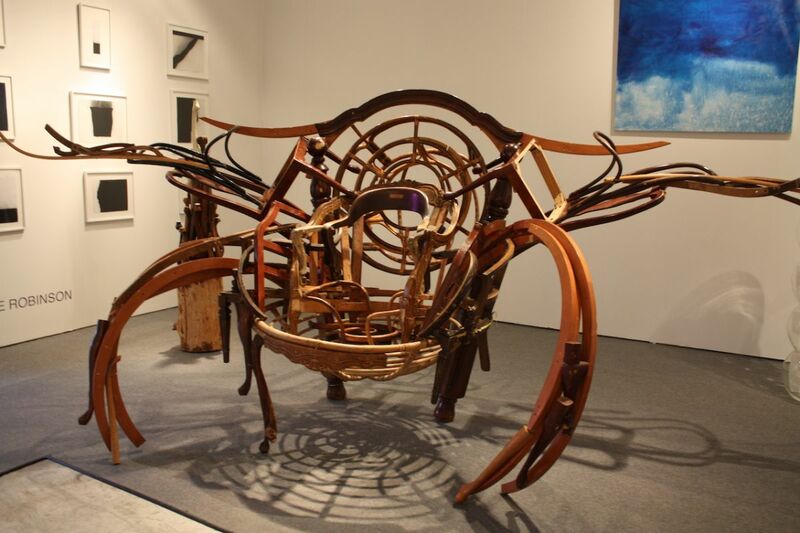 This work by Marc Andre Robinson is unusual and thought-provoking, crafted from a variety of wooden furniture pieces. 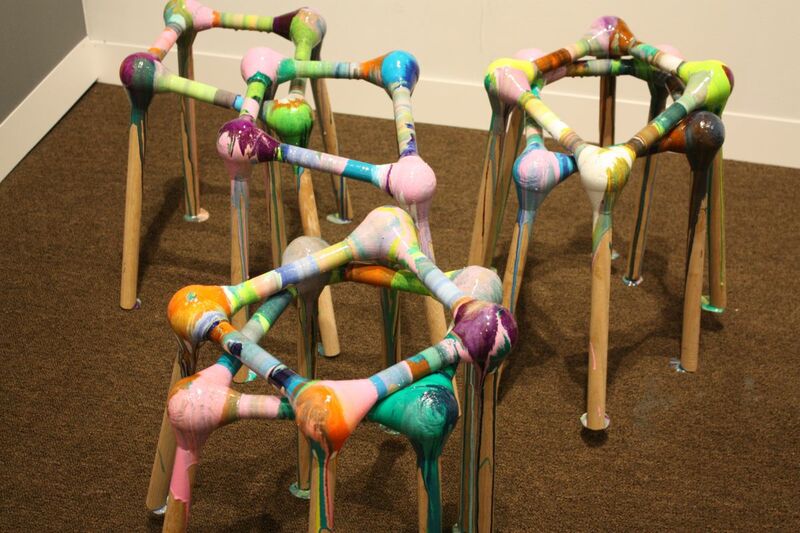 The piece by Robinson plays on the use of chair and table legs as spokes in the wheel. 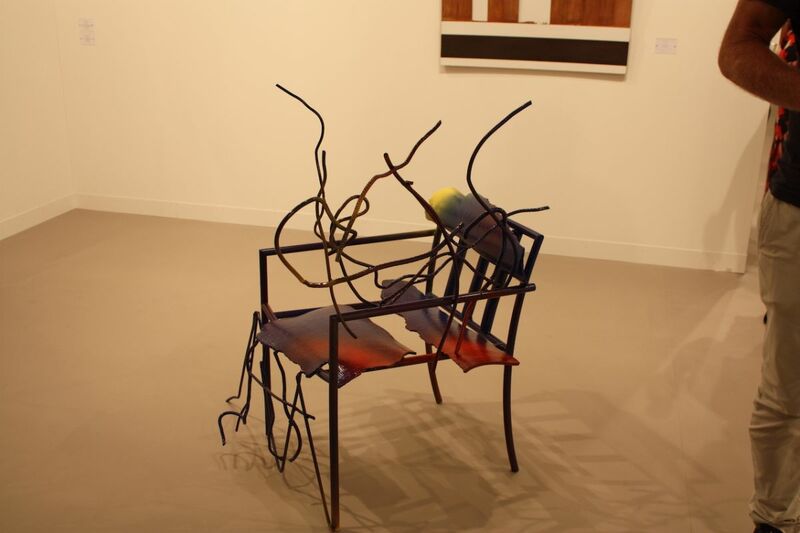 Is the art a chair or is the chair art? 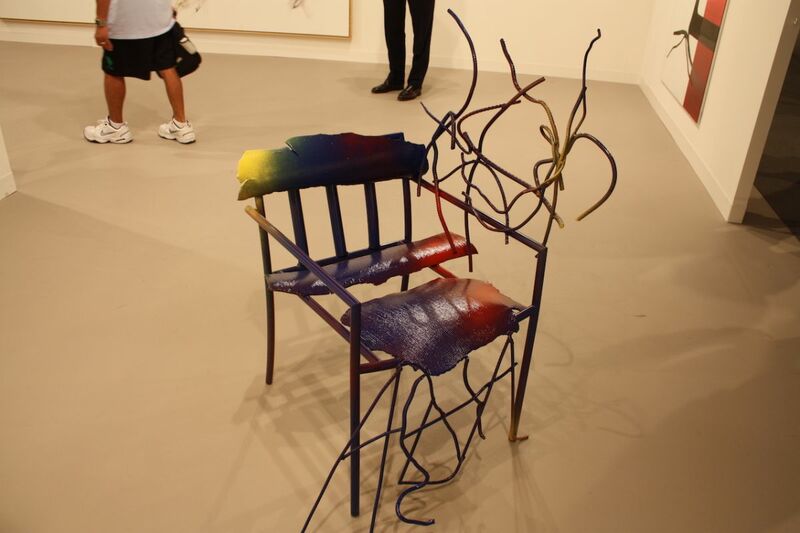 We would suggest that it’s purely art because it won’t likely be a very comfortable seat. 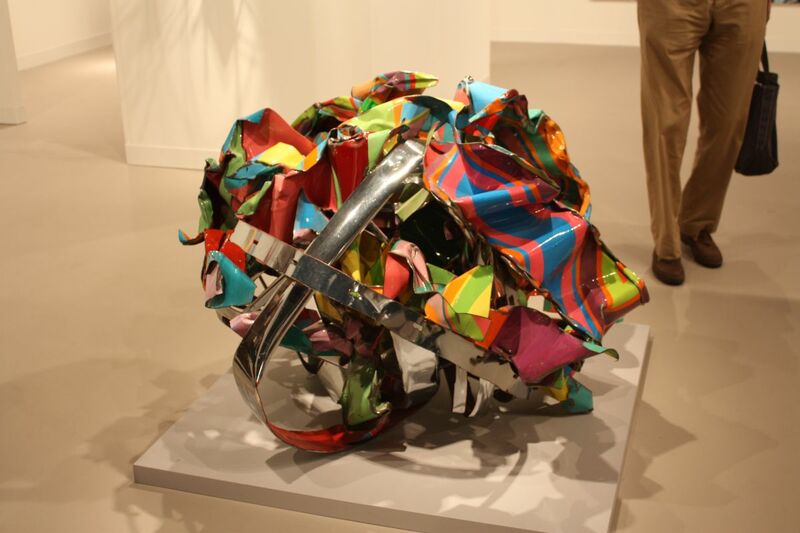 Sculptures made from alternative or upcycled materials are a great art idea. This one is made from anime dolls that are melted into a shape and then sliced open. Really different and curious. A close-up of the outer layer of dolls melted into the sculpture. 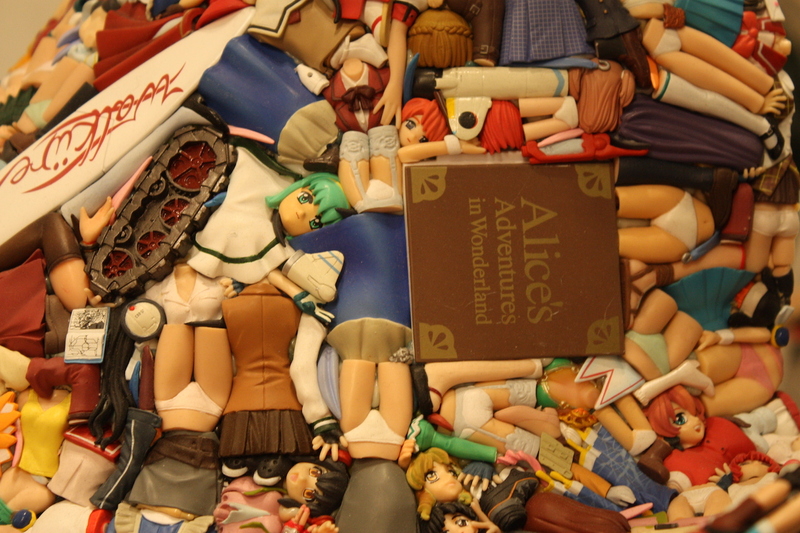 You can pick out various anime figures and even the classic Alice in Wonderland reference. This piece is like its own rabbit hole into fantasy. 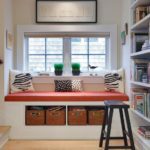 Have a lot of space? 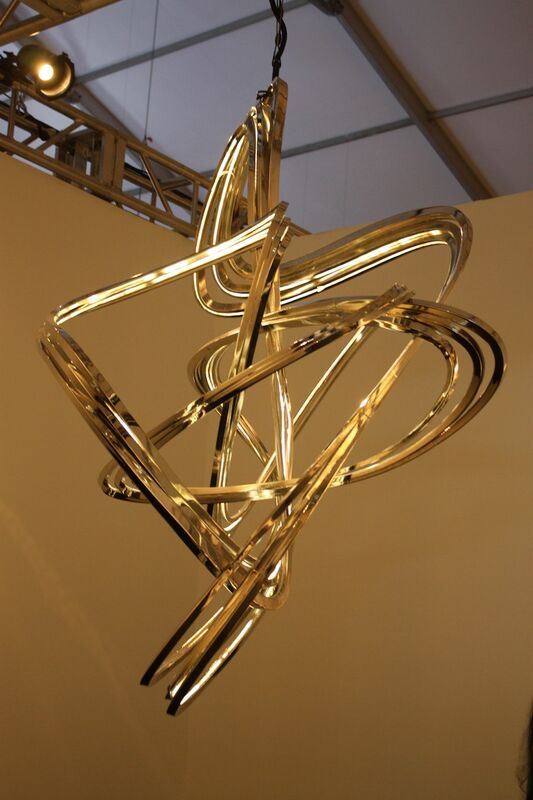 A large sculpture is a fitting art idea for a large, open space. 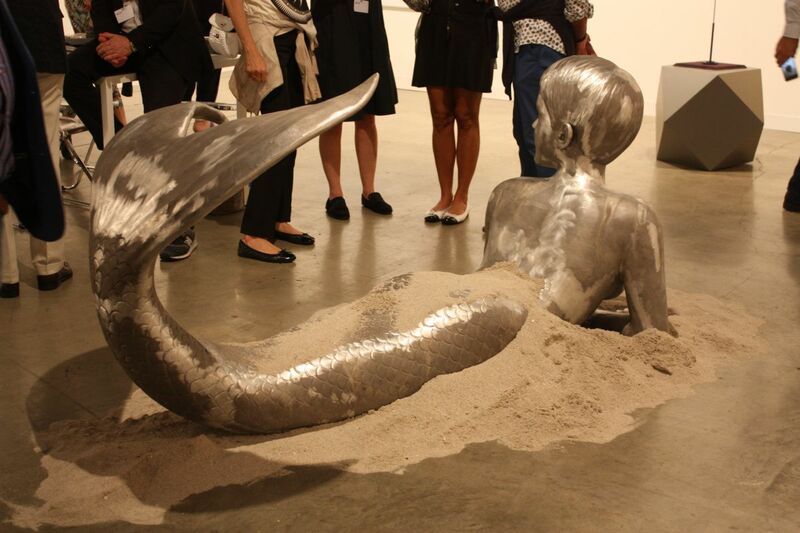 This mermaid would be perfect along the wall of a large foyer or other oversized, modern space. 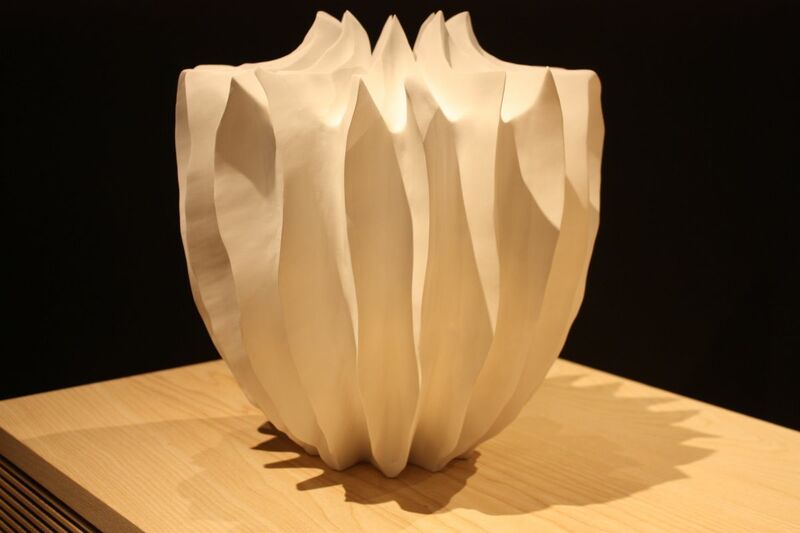 For a more understated art idea, Marc Ricourt’s sculpted vessels would be appropriate. He sources the material for his organic wood objects from the area where he lives. 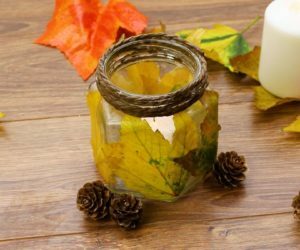 He turns local wood on the lathe and then intricately carves it, treating the surfaces with bleaching, dying or an application of ferrous oxide. 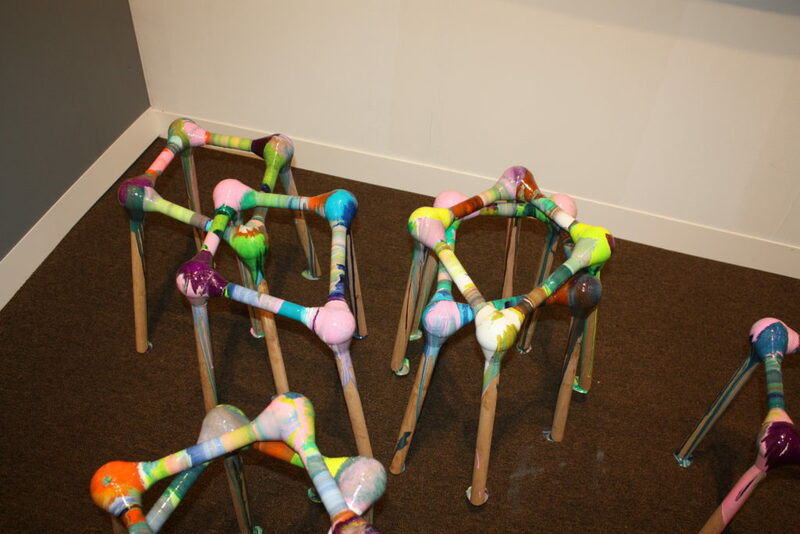 These colorful stools are also focused on form over function. They are a collaboration between Nick Gelpi and Markus Linnenbrink, 2015. Linnenbrink’s typical colorful drip paintings and striped room-size environments are meant to evoke the stripe paintings of Morris Louis and Gene Davis. The artist builds his works in layers of controlled drips in glossy colors. 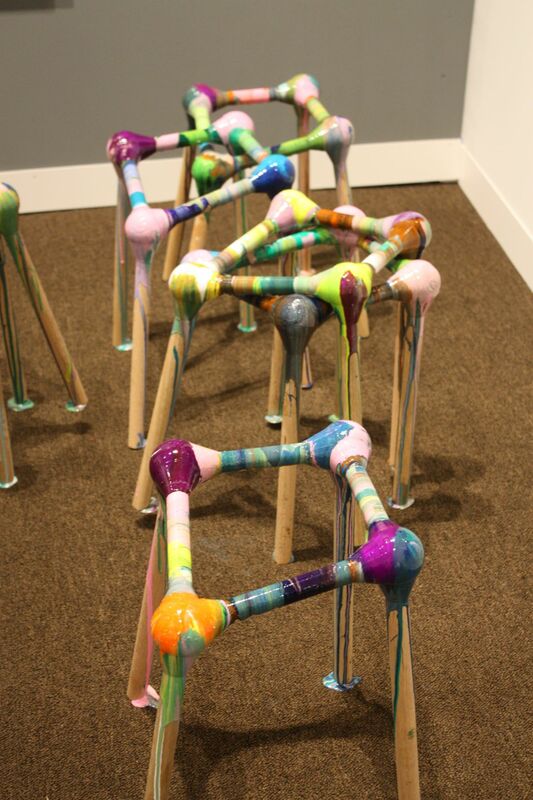 While the dominant theme is stripes, he also uses drips, resin pools, and different tactile surfaces. 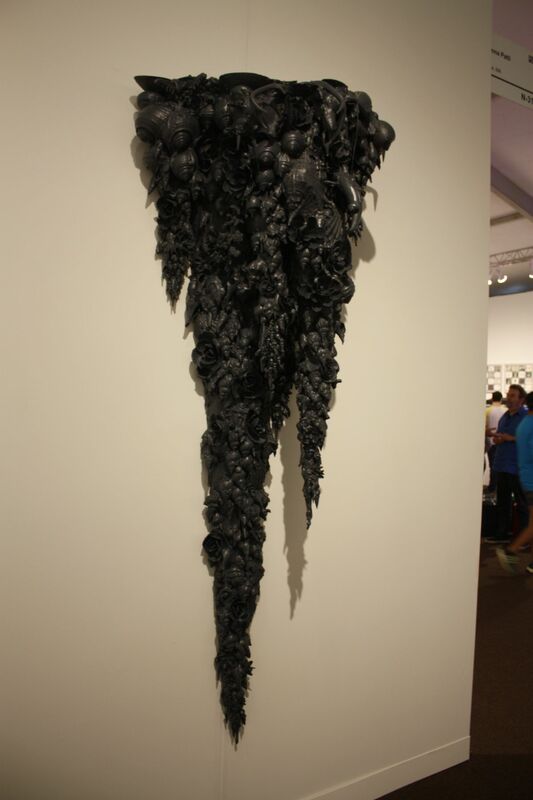 Big art with texture and dimension is exceptionally appealing. 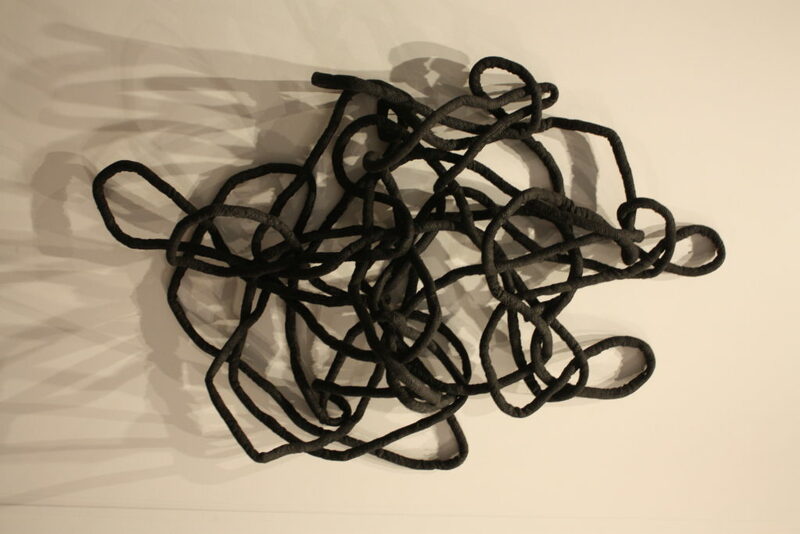 This wall piece from PDX Contemporary Gallery is simple, yet interesting. 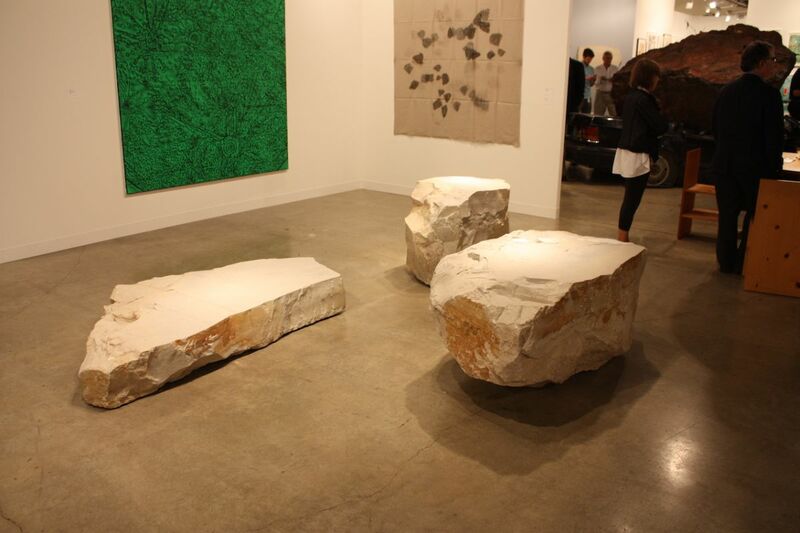 Another space-intensive art idea are these benched from the Peter Freeman Inc. 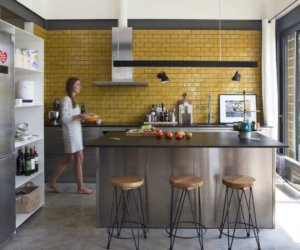 Unusual and mostly for the open-minded art enthusiast, they are rough but still feel modern. 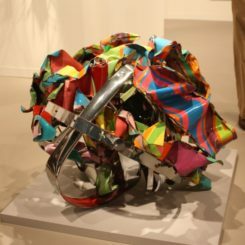 Artist John Chamberlain is best known for his sculptures created from scrap metal, discarded automobile parts and other industrial scrap. “My work has nothing to do with car wrecks,“ he has said. 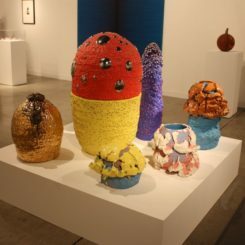 “I believe common materials are the best materials,” Chamberlain says on artsy.com. 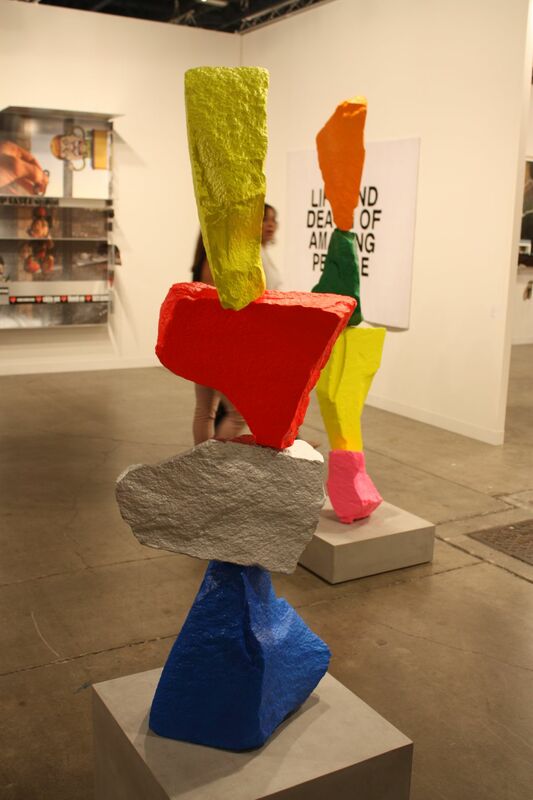 Neon colored pieces are another art idea. 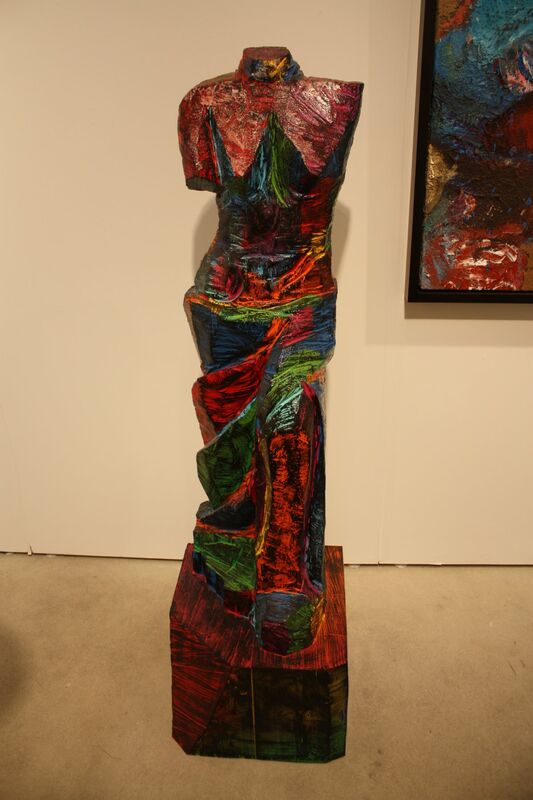 A sculpture made from natural material painted in a vibrant color is sure to stand out in any type of decor, but is best suited for an eclectic of modern style. Tara Donovan’s creations all revolve around accumulations of a single type of material, usually assembled in a topological scheme. This piece, called “Bluffs” is made of thousands of buttons glued together. 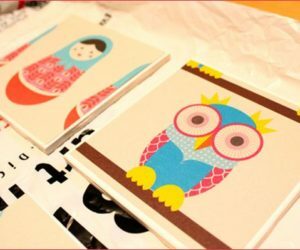 Another art idea is a work made with simple materials that are cut simply, but arranged in an artful way. 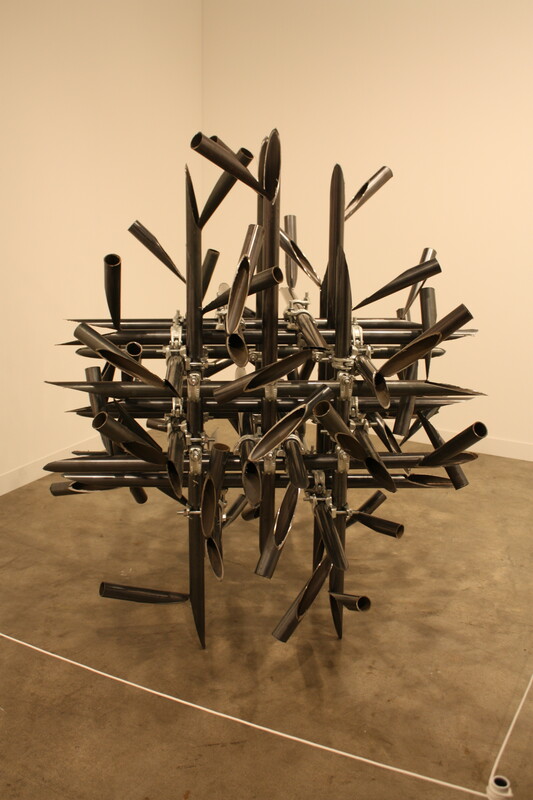 This sculpture is made entirely from metal tubes, but by cutting them at an angle and arranging them in a deliberate way, the artist created a visually engaging piece. 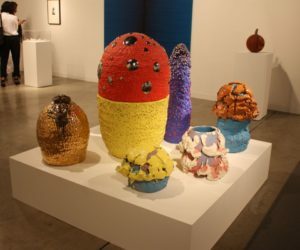 German artist Wilhelm Mundt is known for pieces known as “Trash Stones.” The colorful boulder-like works are made of multiple layers, wrapped around an inner core. 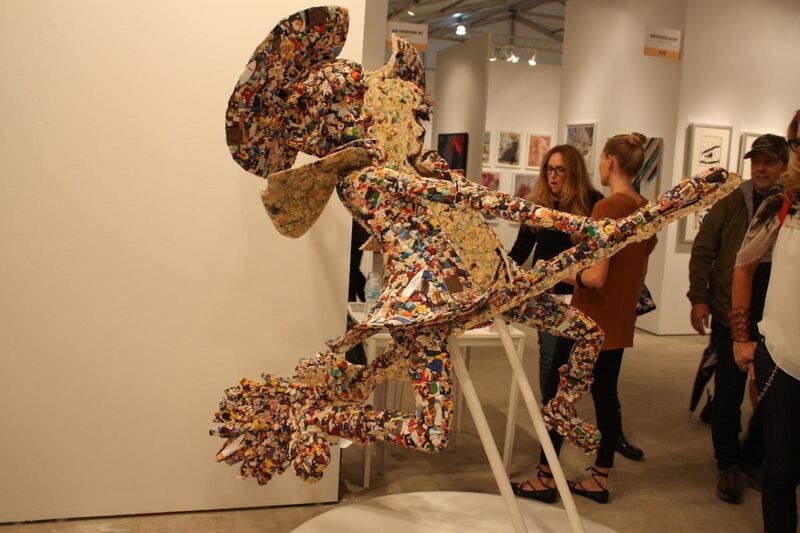 Mint makes the core from his art debris, including wood, tape, parts of old sculptures, and broken everyday objects such as televisions and coffee machines. 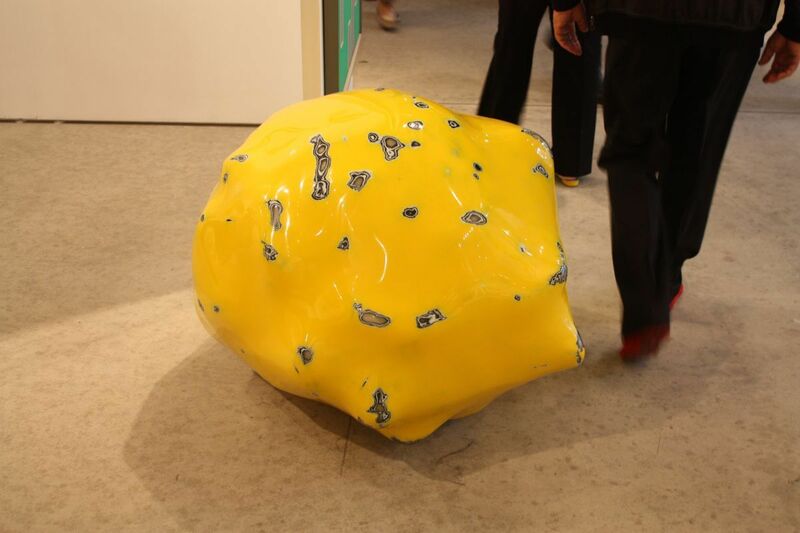 The core is then coated in fiberglass-reinforced plastics or polyester resin, smoothed and polished. What a fantastic art idea! 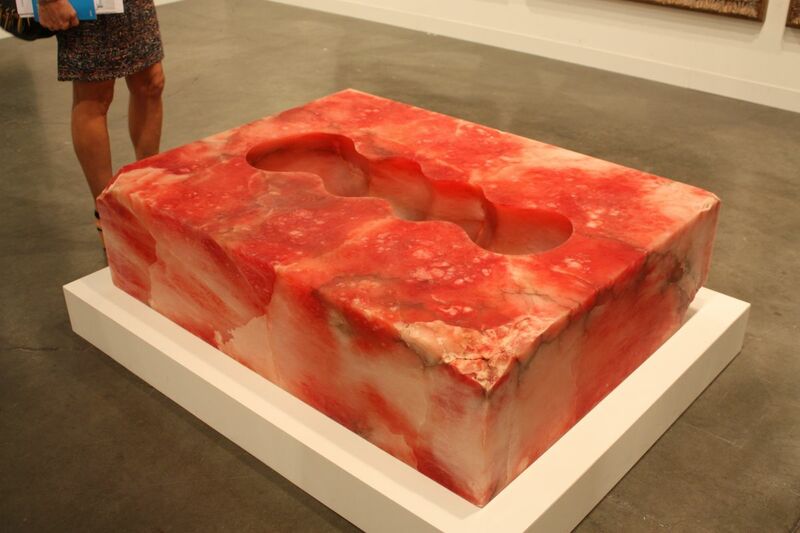 This simple sculpture is made of plaster, sand, polystyrene, raw pigment, and steel all on a concrete base. 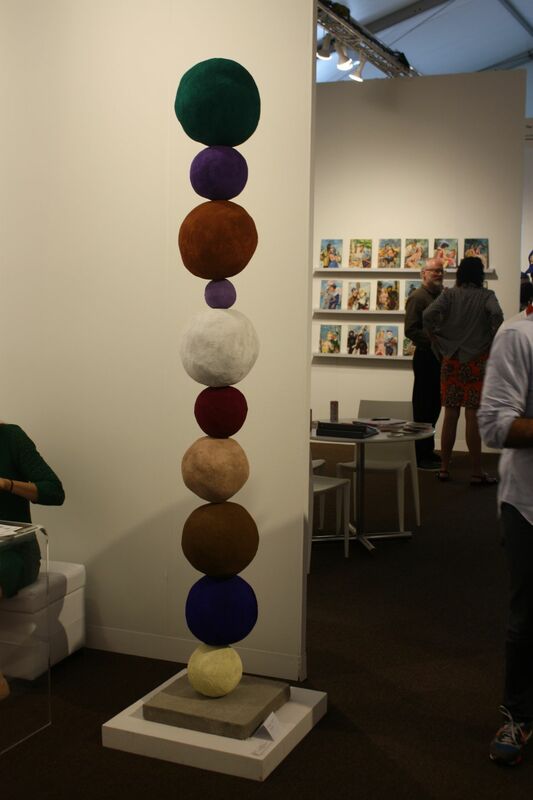 Multimedia artist Annie Morris creates these monumental stack sculptures of balls made from plaster and sand. 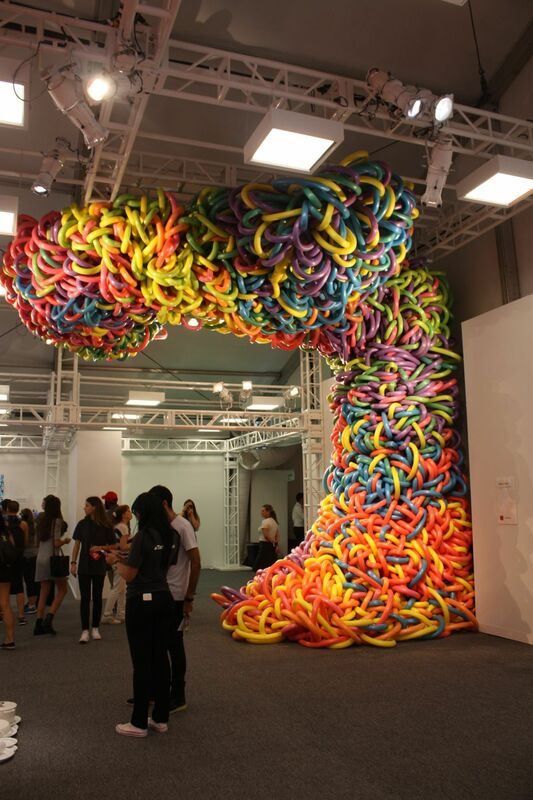 This is a very large scale work that was part of the Target Booth at Pulse Miami. 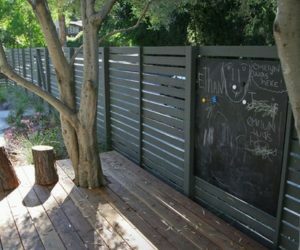 While most people don;t have room to install something this big at home, it’s a great art idea on a smaller scale as well. 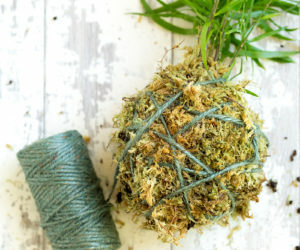 Who knew pool noodles could become a wild and funky tree? 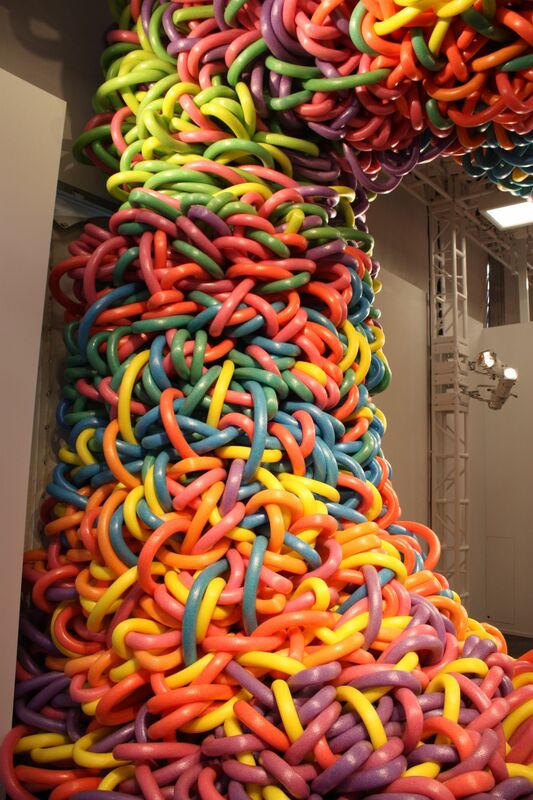 This installation is a great inspiration for art ideas in your home. 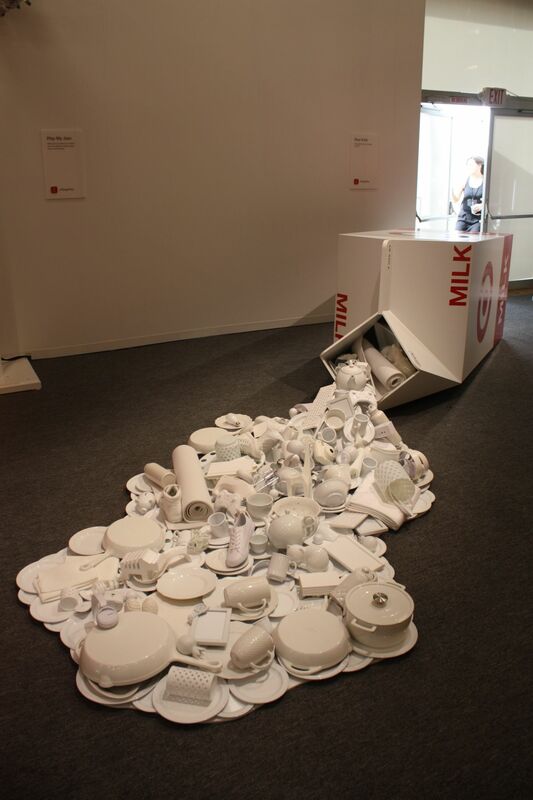 Works made with everyday objects can be compelling and attractive pieces of art. The colorful explosion of noodles on the ceiling looks like a living fairytale tree. The sectioned color arrangement of the tree trunk leads the eye upward. You can use endless adjectives to describe artworks: provocative, enlightening, colorful, intriguing, etc. 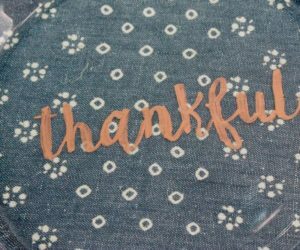 But when looking at art ideas for your home, choose the words that make you happy and find pieces that evoke that emotion. 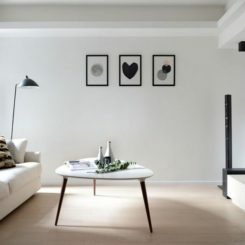 Pick an artwork that fits your decor and your style, and most importantly, is something that you love. 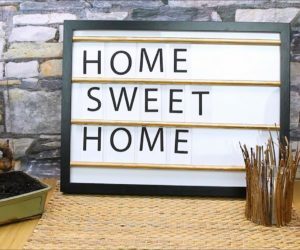 Display it proudly, light it properly and enjoy!